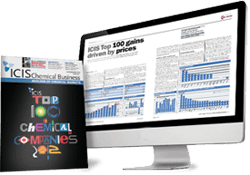 The Methyl ethyl ketone (MEK) markets are covered by ICIS on a weekly basis in Asia, Europe and the US. 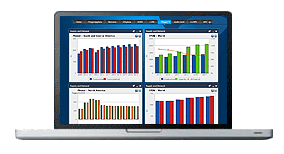 These benchmark assessments, used widely by industry, are key to keeping you fully informed of market developments. Prices are predominantly for the spot market, though domestic and regional quotes also appear. Our locally-based reporters give informed but unbiased commentary on market overviews, upstream and downstream movements, economic news, graphs and plant shutdowns/operating rates, when applicable. MEK supply was long for the most part of Q1 2019. Despite the long supply and weak demand during the period, suppliers were under increasing pressure to raise their MEK offers amid the uptrend of feedstock naphtha. Towards the later part of Q1 2019, Taiwanese MEK producer Tasco announced a force majeure on its 120,000tonne/year plant. This sudden tightening in supply caused a hike in prices, and an arbitrage window from Europe to Asia opened up. Demand was deemed stable to lackluster in the first part of Q1 before Lunar New Year in early February. Most market players preferred to secure cargoes only after the festive holidays in amid a long supply situation. However, demand did not pick up after the holidays as anticipated because of geo-political factors in Asia. When Taiwanese producer Tasco announced a force majeure in late Q1 2019, and Taiwan became a net importer for the first time, Asian buyers scrambled to secure their cargoes before supply ran out. The MEK market was well supplied during most of the first quarter of 2019. January and February were characterised by disappointing demand and a slide in prices below annual averages. Uncertainty over Brexit outcomes, subsequent stockpiling throughout the EU and ample imports from Asia were cited among causes behind the original market length and slump in prices. The market suddenly tightened in March after prices in Asia rose due to a number of planned and unexpected outages in the region, rendering exports to Europe unprofitable. Demand was relatively lacklustre during most of 2019’s first quarter. An arbitrage gap opened with Asia on the back of outages in mainland China and the region of Taiwan which resulted in exports from Europe into Asia and a halt to all imports from Asia into Europe. 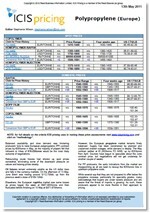 In two weeks a somewhat long market tightened and prices increased €200/tonne. Supply of US methyl ethyl ketone (MEK) was ample in the first quarter of 2019. MEK is not produced in the US, with the region relying on imports largely from Europe, South Africa and Asia. On average, around 30% of imports originate from the United Kingdom, although the Chinese tariffs did slightly hamper supply from Asia. Demand for US methyl ethyl ketone (MEK) was stable-to-soft through the first quarter of 2019. Demand for MEK is highest during the summer months as more than 60% comes from the paints and coatings industry, where it is used as a solvent. Because of a late end to winter, the coatings season has been delayed. We offer the following regional Methyl ethyl ketone analysis and news coverage to keep you informed of factors and developments affecting prices in the Methyl ethyl ketone marketplace. Over 25 years of reporting on key chemicals markets, including Methyl ethyl ketone, has brought global recognition of our methodology as being unbiased, authoritative and rigorous in preserving our editorial integrity. Our global network of reporters in Houston, London, Singapore, Shanghai, Guangzhou, Mumbai, Perth and Moscow ensures unrivalled coverage of established and emerging markets. The main application for methyl-ethyl ketone (MEK) is as a low-boiling solvent for nitrocellulose, acrylic and vinyl surface coatings. Methyl ethyl ketone (MEK) is a colourless, mobile, flammable liquid with an acetone like odour. It is soluble in ethyl alcohol, benzene, ether and acetone, and miscible with oils. It is also a fast-evaporating active solvent with an evaporation rate similar to ethyl acetate. The main application for MEK is as a low-boiling solvent for nitrocellulose, acrylic and vinyl surface coatings. Around half of global MEK demand is derived from the paints and coatings industry. Its advantage is that low viscosity solutions can be obtained, having a high solids content, without affecting the film properties. These lacquers are used in the automotive, electrical goods and furniture industries. MEK can also be used in rubber-based industrial cements and printing inks. Its fast evaporation rate makes it popular for rubber-based industrial cements, low-temperature bonding agents and as an azeotropic separation solvent for printing inks. It is also a component of the solvent system used in producing magnetic tape. MEK is also a solvent required for the polymerisation processing of polystyrene, acrylonitrile-butadiene-styrene (ABS), and styrene-butadiene-rubber (SBR).